It is our pleasure to introduce you to Master Mechanic Richmond Hill, Peter Spyropoulos. I have been an licensed automotive technician for the past 20+ years where I acquired skills in automotive repair, maintenance, testing, and fault diagnostics. I initially began my career as an apprentice for Acura, moving on to work with BMW for 8 years, and most recently working as a Technician for Mercedez-Benz for 12 years. I am a Certified Technician specialized in BMW and Mercedes-Benz vehicles. Born and raised in Toronto, I lived in the Richmond Hill area for more then 5 years. I am married to my wife & business partner Sofia and we have two beautiful boys. In my free time, I enjoy working on cars, playing basketball and spending time with my family. We hope that you can find all the information you need to familiarize yourself with who we are, what we do and how you can find us. We promise to do our utmost to deliver our professional service in a very personalized manner and we thank you for wanting to learn more about us. Our Master Mechanic Richmond Hill store is located on Yonge Street, with many other stores and restaurants around where you can wait while getting your car serviced. Our Master Mechanic Richmond Hill store is independently owned and operated which means that we are providing a personalized service to our customers. We strive to be the only auto repair and maintenance choice for each of our clients by creating long term relationships which have been earned through consistent delivery of outstanding service quality in an environment which promotes trust, fairness and respect. It is this dedication that differentiates us from our competitors as we continually strive to deliver an outstanding customer experience to each one of our satisfied customers. "Paul S Master Mechanic is my go-to shop for everything automotive [...]The shop owner is always thorough analyzing before starting a job which I appreciate. I had and have new and old cars with this shop for years and always received top-notch service. One of my cars is a classic that I only give to the most trusted shop which this Master Mechanic fully qualifies for. I always got excellent service from a check engine light to a complete custom job where parts had to be fabricated. The mechanics in the shop are also all knowledgeable and friendly. I tried several shops in the area and Master Mechanic is the best by a far margin." "Randi Peterkin I would highly recommend Patrick and the boys at master mechanic Richmond hill. Every time I have taken my vehicle in I always have a great experience. The work is alway done in a timely fashion and done correctly the first time. Nice to have a mechanic that puts his customers best interest first." "I have been Patrick and his team, at Master Mechanic for mor than 5 years. Always great service, honesty and respect. I would not trust my car to anyone else." "I've been living in Richmond Hill for just over 5 years now and have been going to Master Mechanic Richmond Hill for the majority of those 5 years. Patrick and his team have done a great job taking care of my car and me. His committment to good work and integrity are why I keep going back and would recommend him to anyone else." "Really enjoyed my experience here. My wife dropped off the car and they gave her a ride home. Diagnosed my problem, inspected a bunch of other things without me having to ask, and gave me a ride back all within the estimated timeframe! Very friendly to deal with as well, and definitely know their cars! I'll be going back for sure!" "Once again Master Mechanic in RH to the rescue. Brought the car in for an oil change and stayed the entire day. WHY? Because my mechanic found issues that others overlooked. Bought a set of new tires two months ago, not from Patrick, and the belts are already coming thru the sidewalls and the treads (not good) and the tires have flat spots (this car only sits at night, otherwise it is driven daily). Patrick and team were quick to bring this to my attention and suggest appropriate quality tires for the car. (The other retailer, who I have had words and waiting for a refund for defective tires....) When removing the tires it was found the rear calipers were seized, at only 33,000 Km. Again, when the other retailer installed the tires they overlooked this. I could have been told leave the car and we'll get to it (like a few other shops in RH) but Patrick and team were up to the challenge and made things right by working some magic on the calipers (saving me some $$$$), replacing the rear rotors and servicing the front brake assembly. But the Bosch wiper blades??? Well, they were needed. Quality work, with quality products from a quality team. Thanks Master Mechanic Richmond Hill." "I would highly recommend Patrick and the boys at master mechanic Richmond hill. Every time I have taken my vehicle in I always have a great experience. The work is alway done in a timely fashion and done correctly the first time. Nice to have a mechanic that puts his customers best interest first. " "I have been to Master Mechanic in Richmond Hill for a couple of years now, and they always make sure I understand what is going on with my car when I bring it in. Recently I had a largeish problem which was going to cost a lot to fix, but between hunting for deals on the parts and a keen eye once they opened the car up Patrick's team saved me more than half of the cost. These guys are top notch." "As an extremely "mechanically challenged" person, I'm always hesitant about bringing my car into shops for the fear of getting taken advantage of. In fact, I used to just let my dad take care of that stuff. But with Patrick, I never have to worry about being treated unfairly or getting ripped off. He's always honest about the charges and takes the time to break down what exactly is wrong my car. Today, I had to fix the rod that attaches to the fuel door actuator. Patrick repaired the rod in less than hour and saved me over $70 by fixing the piece himself rather ordering a new part. Time and time again, Patrick and his team's incredible service, saves me time, money and peace of mind. I wouldn't' go anywhere else." "Patrick at Master Mechanic Richmond Hill has been servicing our vehicles for years, and boy have I had some lemons! He has always treated my family fairly and very honestly. My elderly Mother refuses to give up the last car my Dad bought her almost 20 years ago. When it won't start in her underground, Patrick runs over at the drop of a hat. He understands what it means to her and he cares. Patrick has been particularly good to me since my husband died too. I know I can bring in my car and trust what he says and does. This was particularly true when I had to bring my car to the dealer for a recall recently and they told me my left ball joint need replacing. I told them my mechanic had just replaced it months before so I would take it back to him. Well, it wasn't the left ball joint, it was the right one,Patrick showed me. I assumed I had misheard the tech at the dealer. In any case, Patrick's guys replaced it quickly and at a very reasonable price. When I reread the dealer paperwork it said " Customer reports left ball joint squeeking since replacement" - The forged their paperwork and did not notice the broken right ball joint at all. Glad I went back to Patrick! I would highly recommend this honest, hardworking young man and his staff. " "very professional. upfront. went to fix a belt got was done same day.. "
"I've cycled through many mechanics over my many cars over many years. I've had good service before and terrible service, but never great until I came here. Patrick and his team have been spectacular over the years I have had my car and minivan serviced. Attention to detail and complete understanding of my needs and getting the job done is such a plus. I know my vehicles are well looked after and I have never had to second guess if the work was done, or if any suggestions were made that were not necessary. In fact, there was an error code that came up to repair a sensor the manufacturer service center I took it to showed they completed it, but when removed, it was still the original material (which was given to me), and Patrick tried to fight with the warranty center to get them to cover it. The honesty and commitment to service along with piece of mind are so refreshing. Since you have to spend money to repair your car no matter where it goes, it doesn't seem as much of a burden paying Patrick." "I?۪ve been taking my car to Patrick at Master Mechanic in Richmond Hill for years and I?۪m so pleased with the service there. I?۪ve never taken the time to write a review and I should?۪ve because Patrick is exceptional. I walk in the door and he knows my name even if it?۪s been a year. He takes the time to explain my car?۪s issues and even shows me the damaged parts after he?۪s changed them. I trust him and can feel the passion he has for the work he does. I?۪ve referred numerous friends there and they all say the same thing?��Patrick rocks. You want great, reliable, friendly service that you can trust? I?۪d highly recommend Patrick at Master Mechanic Richmond Hill. " "Could not be happier with Patrick and his technicians!! Its hard to find a good mechanic, let alone an incredible one, and first impressions can be tough when numbers are being thrown at you over your car's issues... Patrick could not have made a better first, and lasting impression. He is unbelievably knowledgeable, professional, efficient, honest and trustworthy. He truly cares for his customers, and their safety. His shop is clean, and well cared for. His staff is friendly and educated. If you're looking for a new mechanic, stop your search here. You've found him. Without a doubt, you'll leave his shop feeling fantastic about your decision. " "Patrick fits my car in his busy schedule all the time, the service is as promised and the price is a fraction compared to the dealership I used to take my car. I have visited Patrick now for three years and he has taken care of my Porsche Panamera, Mercedes ML 550, BMW 328I and Range Rover Evoque. I am extremely pleased with the quality of service the timeliness of repairs and price. There is no one else I would trust with my vehicles then Patrick at Master Mechanic in Richmond Hill"
"I went to Patrick because of the excellent reviews he has. I wanted to get an estimate on rear shocks and while my car was there I had him install my summer tires. I received a call from Patrick telling me I had a bent right rear wheel. I had gone to my dealer last summer because my car was vibrating at highway speeds. The dealer showed me the wheel cover and said it was bent but he didn`t know why. I also went to another mechanic because of the vibration and because my tire was losing air. He also could not find the problem, Patrick spotted it right away and said it should be replaced. He found me another wheel. I will definitely continue to go to Patrick because of the excellent work him and his staff provides. I will also recommend Patrick to my friends." "Thanks for the great service Patrick and his team provided today to our family car. Even though I always make an appointment for regular oil checks, today I took my Honda without a previous appointment because of a Muffler problem that occurred yesterday. And within a couple of hours they solved it due to their knowledge, expertise and willingness cooperate. As regards the cost of parts and the service it is almost the same as other garages but their commitment makes all the difference. " "The owner personally takes his time to deal with customers whenever he can. He knows what he's talking about and he's committed to seeing the task through to its completion. Recently he took care of my car, identifying an additional problem which he knew was covered by the manufacturer. After he completed the job I brought it in for originally, he took my car directly to the manufacturer on my behalf. The guy is a total class act, and I surely will not be looking for second opinion going forward." "5 STAR PLUS....Patrick was awesome... totally knowledgeable and really made me feel at ease! I was having some issues with my vehicle and had been bringing it to Good Year down the street in the past (Don't feel comfortable or confident in their abilities to say the least) and decided to give Master Mechanic a try based on the Google reviews I read! totally surpassed my expectations! Patrick slotted me in the same day and walked me through a full diagnostic that he performed himself and didn't even charge me for the full time it took him to inspect the vehicle. He took the time to show me and explain to me what was causing the issue and took extra steps within his diagnostics to ensure the problem was not only limited to what he initially thought. What I really liked was the questioning he put me through - ensuring that all scenario's that he could think of were covered. Patrick is a true professional and treated me like I was a long time customer. I just wish I had ventured a little further south on Yonge when I first moved here and I bet that I would have not had this problem to begin with. Thanks Patrick, I really appreciate the time and care you took to fix my vehicle." "I usually don't do these reviews but after my experience with Patrick at Master Mechanic in Richmond Hill I had to come here and pay it forward. Patrick is extremely knowledgeable and helpful and will go into detail to explain the issue and work required to fix it. I had an issue with my transmission and had to get it replaced which is a major job and Patrick and his staff handled it like the pros that they are. In the end my vehicle is now functioning like new and runs so smooth!!! Thanks Patrick and Jeff!!! You guys are the greatest "
"I saved $1,250+tax with Patrick Minutillo and his crew. For many of us this is incentive enough to drop your current mechanic and move all your car maintenance business to Master Mechanic Richmond Hill. Once you start talking with him, you immediately realize that he must have skipped school the day they taught words like “incompetence”, “greed”, “neglect”, “shortsightedness”, “deceit”, “dispassionate”, “laziness”, “egotistical”, and “insensitive”. How else can you explain his contagious passion for automotive engineering, respect and appreciation for customer’s business, as well as his dedication to making sure you become a better educated and happier car owner? If I compare my experience at Master Mechanic Richmond Hill to anything I went through with dealer shops, I immediately begin regretting the time and money I wasted before finding Patrick and his team. Case in point, last year I had some work done by my dealer on my 2009 Fusion’s heating system. Since they’re the supposed experts, I trusted their diagnostic and recommended solution, gave them the go ahead, and ultimately paid whatever it cost to have the work completed. As my trusty Fusion never gave me any sign that is overheating, braking badly or shifting gears with difficulty, I decided to pay for the “diagnostic” and seek another opinion. After doing a bit of Google searching, I came across Master Mechanic Richmond Hill. Located in the same general area as my dealer and being recommended by other car owners, I decided to give Patrick Minutillo a try. Best decision EVER! After examining the heater, brakes and fluids, Piers (the mechanic assigned by Patrick to my car) concluded that nothing is wrong with it except for some minor, no-charge adjustments. The brakes had many thousands of kilometers left in them, the liquids were fine, and the heater is now working flawlessly. Total cost: $39+tax... Savings: $1,250+tax. THANK YOU Master Mechanic Richmond Hill!" "From the first time I drove into your shop I have always been treated with kindness, respect and that I am the most important person there at that time. Any issue, large or small, has always been treated with up front honesty and care. I have arrived at your shop before and after hours on a few occasions, and you have opened the door to help me out, taken me home when needed and have gone over and above the call of duty, whether for myself or my husband. I like the fact you share information/happenings about your family with me, as I feel there is a large level of trust given to me with the knowledge you share about your family and I admire the love you openly show regarding your wife and children. Family is what it is all about and you truly demonstrate this with me. I feel we have established a respectful friendship and this I cherish. You have shared your personal cell phone number with me and I am grateful for this. I have recommended your shop to many people since David and I have started visiting you. I am very happy coming to you and your shop and will continue to do so." "I would definitely refer other people to you -- and I already have. I have given your name to two friends because of the great customer service we've received. I feel like you will take good care of our cars, but also do your best to treat us as valued customers. You've always been friendly and helpful whenever we've needed service for our cars. It's great to know you're in the neighbourhood!" "My experience has been that you are genuinely and honestly concerned about your customers and go to extra-ordinary lengths to ensure that vehicles entrusted to you are properly and correctly repaired. The value added to the service you provide is the confidence that I go away with that you have accurately identified and addressed the vehicle’s repairs and in addition done extra work only where required. The most important way it has been made easy to do business is your policy of picking up and delivering me to and from the garage and secondly your clear and timely explanations of any additional work on my vehicle that ought to be done to ensure the vehicle’s function and safety. I have had no hesitation in recommending your garage to many of my friends and to other body repair garages if they need mechanical work. If your approach to and the quality of work on my vehicles continues I see no reason not to be a customer for life." "In all my years of dealing with mechanics, and believe me I've had to deal with many mechanics, I am thrilled to have found such a great guy like you Patrick. Your honesty, trustworthiness, efficiency, etc. has made my experience living in Richmond Hill all the more pleasure full. I would recommend you to any and all friends... it's a pleasure doing business with you." "I could write a positive essay about you. To all potential customers of Patricks’ Master Mechanic location in Richmond Hill, be rest assured you are indeed in very good hands. He regularly picks me up when needed. Shows me all replaced parts. Meets his turnaround timelines and calls if there are any problems. He goes out of his way to take care of you. I do not question his honesty. He knows that I am self-employed and use my vehicles for business and therefore makes certain my issues and handled in a timely manner. The last time I was there without even asking and at no cost to me replaced my wiper blades, because he had trouble seeing properly. Unbelievable, truly a throw-back to older times with his customer service and honestly. I am a customer for life." "You explain very clearly what work needs to be done to my vehicle and why. You will not complete any work that is not absolutely necessary. You have recommended taking the vehicle to the dealership when it's a possible warranty situation rather than taking on the work immediately yourself. Trust is a very big component for me when dealing with automotive servicing. Most people, like myself, know very little about automobiles. Having a mechanic that I can trust is very important. To date, you have not given me any reason not to trust you 100%. I would absolutely recommend you to others." " Patrick and staff are always bang on with their quotes. Repairs are always done efficiently and on time. I have been working with them for several years now, it's very hard to find an honest mechanic. " 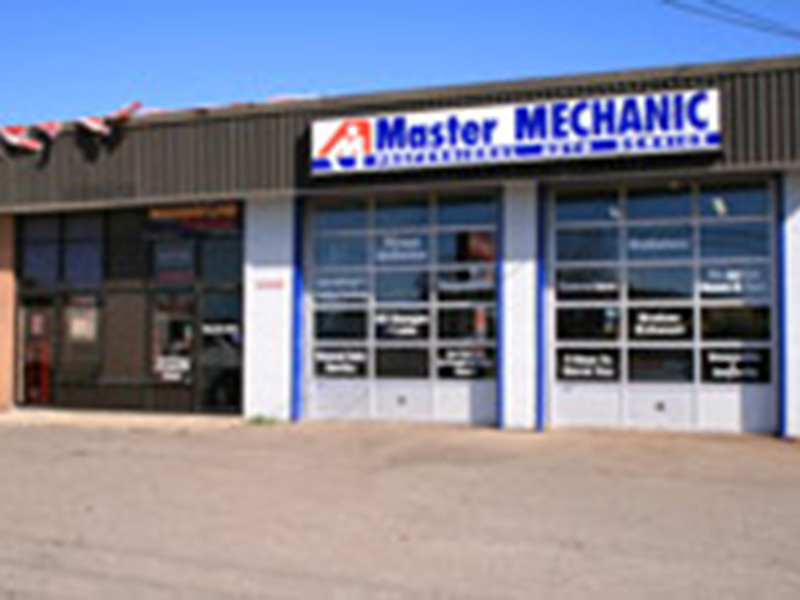 "This is my second trip to Master Mechanic in Richmond Hill. Oil change and summer Tire change over done and best of all no pressure/over selling. When I arrived Patrick let me know right away they were running behind abit and would get to work on my car as soon as they could. It was the same great service last fall. I run a small business and use the same methods as a corner stone to get clients to repeat and refer. Thanks guys." "Everyone needs a reliable "car guy". 3 years ago, before meeting Patrick I never knew what to expect when I took my car in to the shop to get worked on. Now when I bring my car in I know my car is in good hands. Patrick and his guys don't just give me a quote, they take the time to explain what needs to be done and why. They get the work done quickly and stand behind their work. If you are reading this and are having car trouble or are looking for a reliable mechanic .... go see my "car guy! "; Patrick at Master Mechanic. " "It has been a pleasure dealing with Patrick and his team over the last few years. They have a direct straight to the point approach whether its bad news or good news. The diagnostics is spot on and consideration is always applied to catching minor problems early before they become major. The quality of the work is great and they take pride in the details. Always pleased with the results!" "I take all three of my cars to Patrick and his team at Master Mechanic and have been doing so for several years. His team is knowledgeable and efficient and the quality of work is top notch. Being a car guy, I am very picky about who works on my vehicles and with Patrick, I have complete faith that my cars are in good hands. From performance work to routine maintenance, I know I can rely on Master Mechanic to get the job done and done right. If you want it done right in a reasonable amount of time and at a fair price, bring your ride to Patrick." "I am a somewhat demanding consumer who doesn’t hesitate to voice his complaints. So while not given to making testimonials, I do feel that truly superior service, which is very rare these days, should be recognized. This is the case with Patrick Minutillo’s Richmond Hill Master Mechanic operation. After going to another garage for many, many years, I switched to Patrick. The reasons are many: Honesty; prompt scheduling; courteous service; providing information to allow for making informed choices; leaving the vehicle clean; providing a “make good” for unforeseen delays or problems; roadside assistance when CAA wait times were long; occasional pick up and drop off; and showing his appreciation for loyalty. I trust Patrick not only with my work van but also with my Cadillac DTS. I highly recommend Richmond Hill Master Mechanic. " "Patrick and his staff were very professional and knowledgeable. Rabi showed me exactly what needed to be done so I understood the problem and felt comfortable with the repairs. I had several repairs that needed to be done on my vehicle and it was going to take 2 days to complete. Patrick kept me informed of what was going on and offered me several options to ensure I would be accommodated and not inconvenienced. I was impressed when I received a follow-up call from Patrick a few days later to ensure everything was okay. The customer service at this location is fantastic!I would give them a 10 out of 10 rating. They have earned my business and I will return with my vehicles and have referred them to me friends and family. It was a pleasure doing business with Patrick and his staff. " "For the last little while I have been dealing with Patrick in your Richmond Hill store. Patrick has never once let me down, in fact he has gone above and beyond more times than I would consider necessary. The problems I've had with my vehicle have been extensive but at this point I'm not in the position to move into a new car. Patrick has taken it upon himself to ensure that I receive the best service possible and I sincerely appreciate it. For example, the latest problem required a new engine. Patrick did absolutely everything he could to keep my costs down so I could afford to keep the vehicle. This is just one example of the absolutely top-notch service I've gotten from this store. This is the type of service every tradesperson or contractor speaks about - good, quality, honest service - but talk is cheap - actions speak louder than words and what Patrick has done for me has said more about Master Mechanic than I ever expected. With the experience I've had I know how rare it is to find someone to follow through on promises such as the ones your commercials make. Now I know the customer service promises that Master Mechanic makes are more than just sales techniques. The care and attention I have seen from Patrick and the entire staff at the Richmond Hill Master Mechanic really does exist and is irrefutably the best I have ever come across and ever expect to find. For that reason, as long as I am even remotely in the area, I will return to Patrick and Master Mechanic Richmond Hill and refer everyone I know. I have never been more satisfied than I am now. " " I have been going to your location for about two years. Since you became the owner service has greatly improved. Our first major dealings happened when I spun my car out during this past winter and asked you to fix it and put snow tires on the car while I went on vacation. When I returned the car was fixed beyond what I asked for at a price I didn’t expect. You brought my car up to an almost as new condition. What makes a repair place great, it’s the little things, such as: touching up paint scratches, setting up a special Master Mechanic Club using synthetic oil for me, fixing both my key fobs. I would never have had the same service from my dealer. You call my car your car. I have suggested your establishment to my friends and I sent my wife’s car to you as well. Keep up the good work. "